Day/Night cycles aren’t something that battle royale games have tended to utilise all that successfully. PUBG is almost entirely set in the middle of the afternoon (unless you count those now-removed fog maps, which I presume were set in the early morning). Fortnite does take place at different times of day, but the ‘night-time’ games are defined more by twilight than actual darkness. Introducing actual periods of night and day to a battle royale would force some interesting new strategies. The suggestion is that we’ll see the cycle introduced some time in the future (assuming it works). 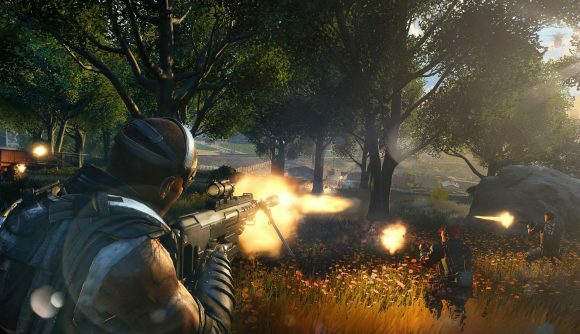 With that in mind, don’t expect to see the feature when the Black Ops 4 release date arrives tomorrow – the likelihood is that, should the performance hold up, that a time of day system will be added to the game in a future update.